Today might still be February but the weather was more like March - roaring in like a lion. But along with the chilly winds were patches of sunshine mixed with the clouds. 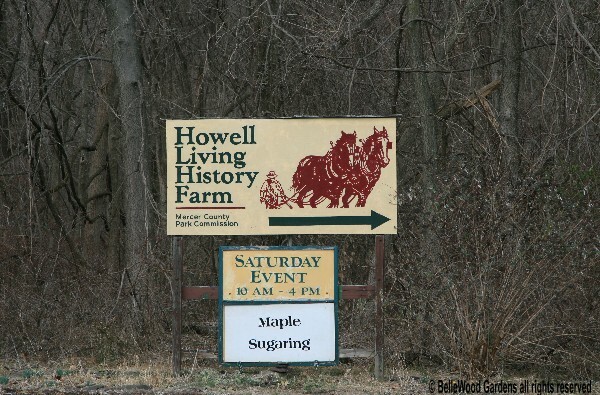 Paul and I decided we were up to an outdoor maple syrup event so off we went to the Howell Living History Farm in Mercer County. Parked, entered the visitor's center, found someone to ask where to go for the event. "Out the double doors," she said in a practiced recitation, "turn left and follow the dirt path. You can't miss it." 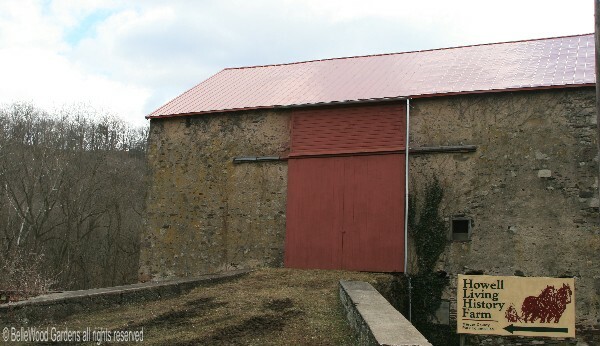 Wide, level dirt path, even a bridge across a small stream that the horse team and buckboard would ford. 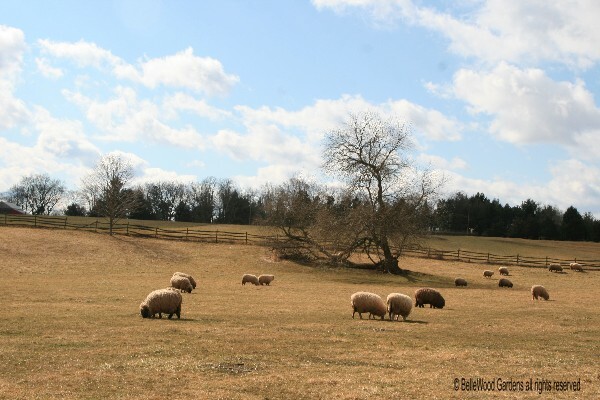 Out the door, turn left, and pass an idyllic scene of sheep grazing in their pasture. Not fat, expectant. Lambs are due in March. 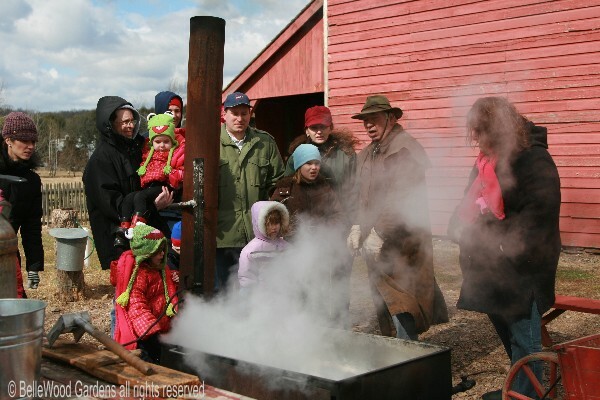 There will be another Saturday event in late March for visitors to meet them. parallel to the ground - but no attack. They must be used to visitors. no action presentation earlier this month at Lord Stirling Park. 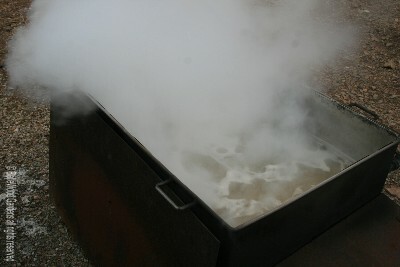 the maple sap into syrup. 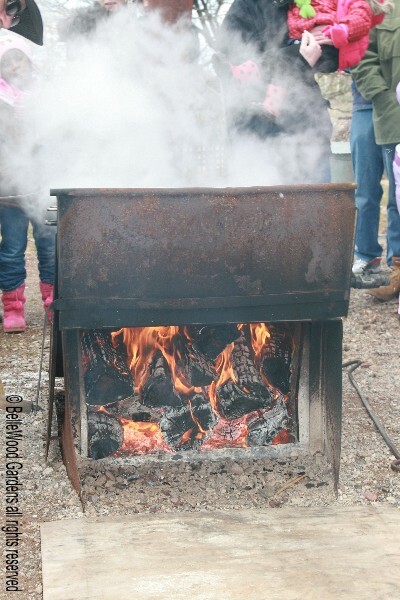 It takes a hot fire and a lot of firewood. 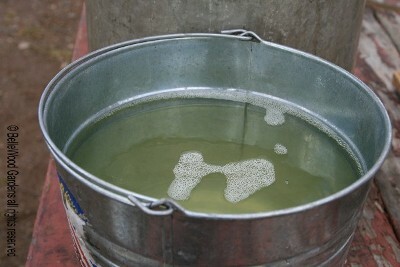 A bucket of freshly gathered sap. A greenish tinge shows the season is quickly advancing. Boil it down, forty to one, concentrate the sweetness. sells for a premium price. 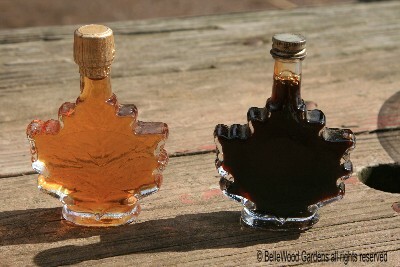 Myself, I prefer the darker syrup. More flavorful. When there was a lull in the audience I had an opportunity to chat with this pleasant, informative man. 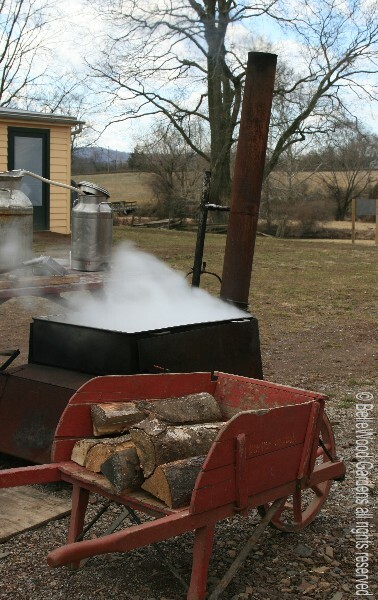 He told me that the sap wasn't running well today because of the cold, windy conditions. The buds at the tops of the trees were at a standstill, not pulling sap up from the roots. Best, he claimed, were 37° Fahrenheit days with sunshine and quiet air, and 27° Fahrenheit nights. Once the buds begin to really swell the flavor of the sap is no longer as clear and pleasant, he said me, it becomes "buddy." Having seen a mention of this somewhere else, I asked if he'd ever heard of making syrup from birch sap. 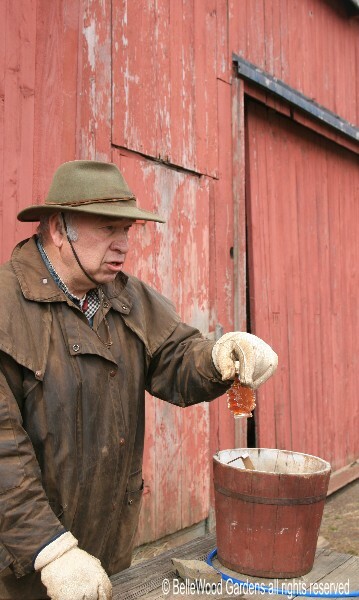 With a laugh he said he'd done it himself, even made syrup from walnut sap. But, he added, a whole season's run boiled down to just a baby food jar's worth. 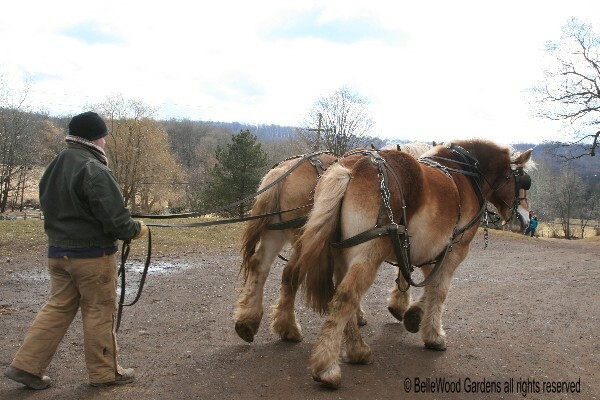 Chester and Jack, the farm's team of Belgian draft horses, harnessed up, about to be hitched to the buckboard. More visitors were arriving. 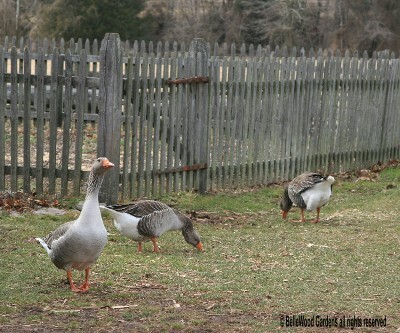 They'd discover an excellent outing at the Howell Living History Farm.